First of all, what is Hot Oil? At DSH we use HSE Hot oil on our horses. It is the ORIGINAL highly concentrated, PREMIUM formula. Loaded with the highest quality Natural Oils and Vitamins for the ultimate conditioning treatment for your horse. 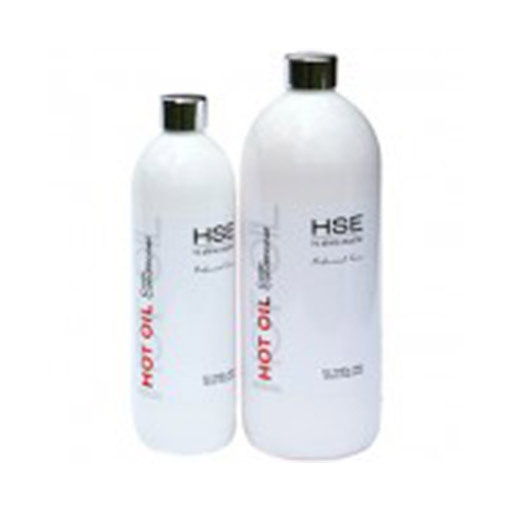 Used and recommended by many showing professionals, HSE Hot Oil is the ultimate coat oil to keep skin and coat hair in silky, gleaming condition. Coconut, Almond, Jojoba & Sunflower penetrate both the hair and skin to nourish and promote growth, Vitamin E & A with their anti -oxidant properties, feed the skin and protect from damage. You don’t have to be show your horse to use this incredible product. Horses have natural oils in their coat that provide a protective barrier for their skin and hair. There are many things that strip the natural oils from your horses coat like Sun, sweat, shampooing, rugging, clipping ect. These all can leave the coat looking dull. By using a premium quality conditioner like HSE Hot Oil you are able to instantly provide moisture and shine back to the coat and help prevent more damage. Hot Oil is best when combined with warm (NEVER HOT) water. The warmth allows the hair follicles to open up for the best absorption. You are still able to use with cold water as the body will warm the oil up but just takes a little longer. There are so many ways to use Hot Oil. Here are 3 ways you can add Hot Oil to your grooming routine. After shampooing or hosing down place 50mls into a bucket of water (10L plastic bucket) and sponge over the whole horse. If the coat is very dry/damaged you can use more, double or even triple the amount of hotoil. Use every few days to have the coat looking and feeling amazing. If you are using the day before a show avoid the mane and tail as the oil can make it hard to plait. Just mix 3 cap full of Hot Oil into a spray bottle with500ml of water. This is about an average strength but you are able to make this mix as strong as you like. Spray over the coat and brush through. HSE Hot Oil does not leave a buildup on the coat. Great to have a bottle of hot oil made up at this strength in your show kit to use when doing quarter markers and sharks teeth. HSE Hot Oil is also able to be applied straight onto the horse as a highlighter. Perfect for around the eyes, muzzle and legs. No need to dilute. There are so many uses for this amazing product. Do not be afraid to have a play around with the ratios (mine are only a suggestion) and see what suits you and your horse the best.